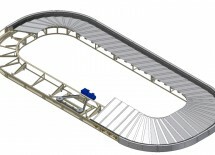 Conveyor bed frames are of welded steel construction. 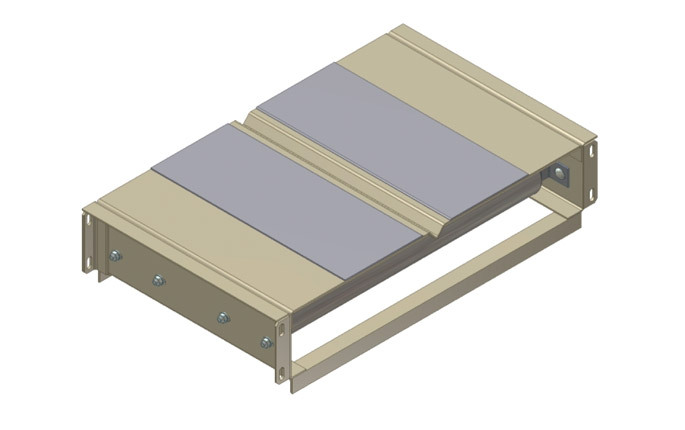 Top bed surfaces are V-Grooved for positive tracking, formed from 11 gauge steel, braced with welded 3/16” x 1 1/4” x 1 1/4” steel angle stiffeners to the underside. 12 gauge steel filler plates are available to enable shrouding with HRS or stainless steel trim.